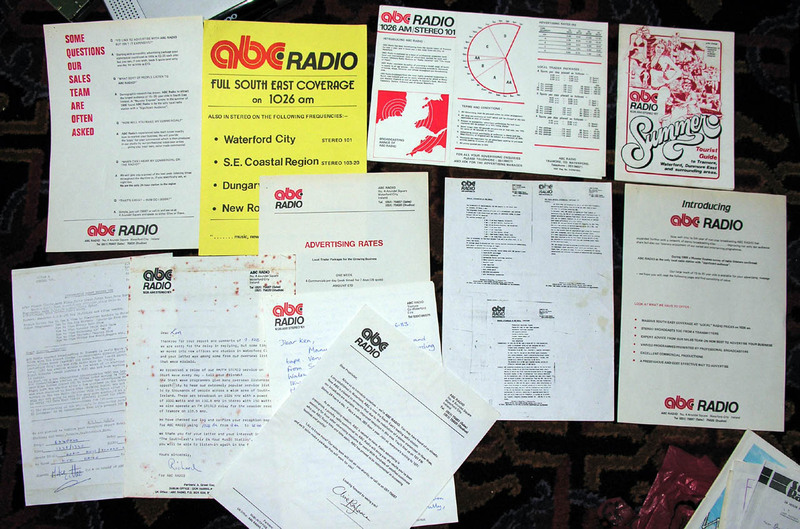 This page is intended to be the starting page for the pirate radio stations that flourished in the 1980's in Waterford and the surrounding districts. 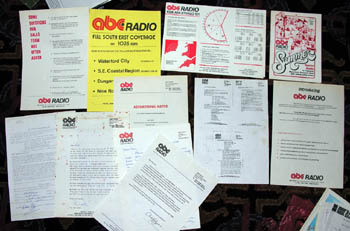 Much is written from a long distance radio listener's point of view, often called a DXer. 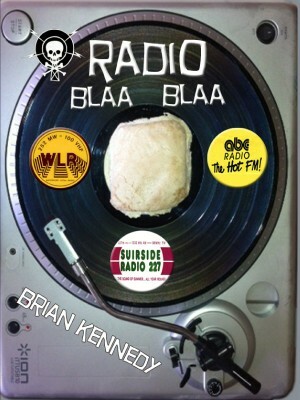 We were shown up again when the book radio blaa blaa was published, so we felt the desire to update the images, audio and pages from the Waterford area. Some of the memories are not quite as reliable as they once were after 30+ years have passed. 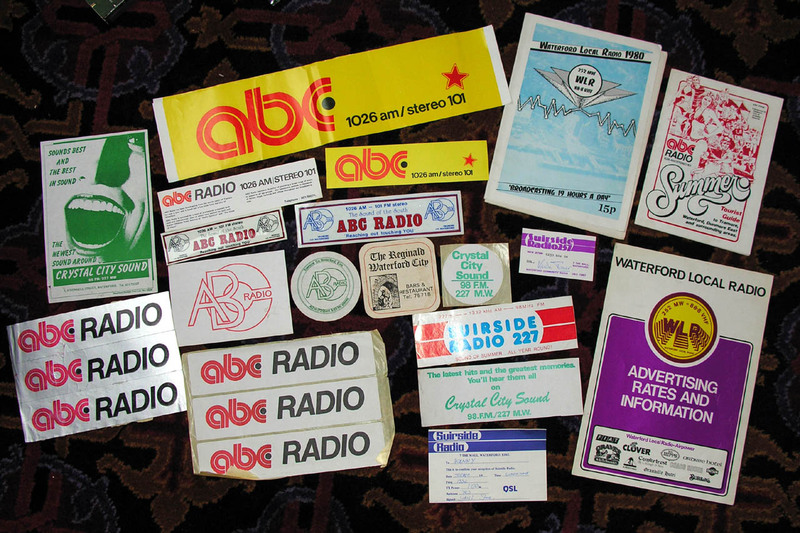 But do have a browse through this part of the dx archive, and I am sure you will find many memories of the radio scene from half a lifetime ago. Waterford Local Radio was heard in the UK on their 1197kHz channel in early 1981, with sign off around 0130. The log books will determine whether the station was heard any time before this. There must have been trouble with the VOA (Voice of America) signal from Germany at night. 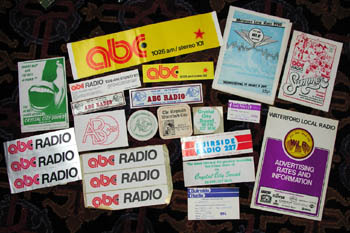 1197 was used for the powerful VOA European service. Suirside Radio from number seven The Mall in Waterford, was heard in many countries in Europe and beyond because of the short wave relay that broadcast on 6235kHz amongst others. It was this station that familiar names on the sw 48 metre pirate stations of the late 1970's appeared. The Suirside Radio MW signal was never particularly noteworthy as being a dx target outside Ireland. Perhaps in SW England it was a regular?? ABC was born in a caravan in Tramore, not many miles outside Waterford, on the coast. This was a great location for MW broadcasting, by the carpet warehouse on the hill above Tramore. The station began on 729kHz, and later moving to 1026kHz with a professional 1kW transmitter imported from the states. Crystal City Sound came out of what was once Suirside Radio. Not much was heard of Crystal City Sound in the northern part of the UK, as their MW signal never had a real powerful night time signal. But after the move to 1512kHz, a well used channel in Ireland over the years, they were noted on 8/2/87, and again on 10/2/87. They later became NCR.